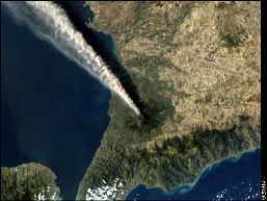 Mount Etna has the impressive height of over 10.000 feet (3,380 m) which classifies it the highest active volcano in Europe! 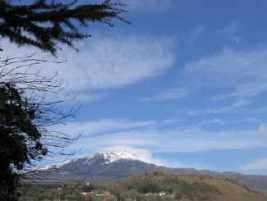 You will agree that it dominates the landscape of the whole Catanian province, a striking impression that you have might have already gained when you landed on the airport of Catania on a clear day.Already Hymner, Pindar, Strabon and others visited Mount Etna and praised its beauty in their works. Even nowadays this unique volcano is a source of inspiration for writers, poets and scientists. Discover the most favourable sides of Italy's famous mountain which has also been nominated Parco Naturale by travelling in a modern, comfortably-equipped coach. 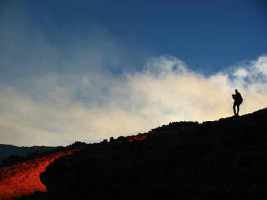 The journey leads into the direction of Enna, then further to Catania where you tackle Mount Etna from its South side. Your first stop will take you up to an altitude of 1.900 m, about 6.000 feet. 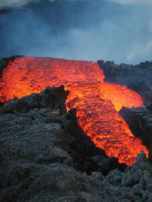 There, you visit some streams of lava and the craters Silvestri. Your tour continues along the East side of the volcano, where you cross the villages Zafferana and San Venerina until you finally reach the enchanting town of Taormina. Here, you visit the Roman-Greek theatre and the old part of town with its famous Corso Umberto, the Odeon and the Dome. Then you have some leisure time at your disposal to explore the city by yourself or just to enjoy a relaxing capuccino in the famous "Wunderbar".